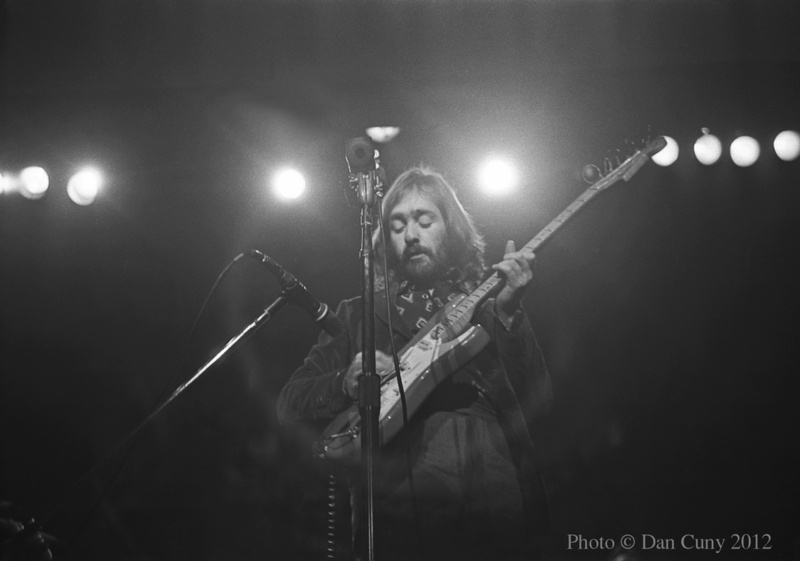 Dave Mason was born in Worcester, England, in 1946. As a teenager he began to sing and to play the guitar, performing frequent gigs in Worcester with The Jaguars and The Hellions. 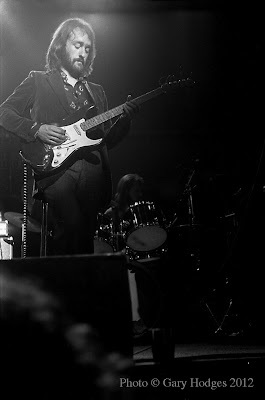 In addition to Dave Mason, the youthful membership of The Hellions also included Jim Capaldi, a local musician who had ability as both a drummer and a vocalist. Dave Mason and Jim Capaldi later became acquainted with Steve Winwood, a young singer, keyboardist, and guitarist who was the star of The Spencer Davis Group ("Keep on Running," "Gimme Some Lovin'," "I'm a Man"), and in 1967, together with Chris Wood, a musician from Birmingham who played flute and saxophone, they all committed themselves to the formation of Traffic. The first single to be recorded by Traffic, "Paper Sun" (released on Island Records in May, 1967) featured the sound of Dave Mason playing the sitar (in common with George Harrison of The Beatles and Brian Jones of The Rolling Stones), and was a hit in the United Kingdom. Their second single, "Hole in My Shoe" (released in August, 1967), which Dave Mason wrote and sang, did even better, and still is remembered as one of the foremost British hits of that year. 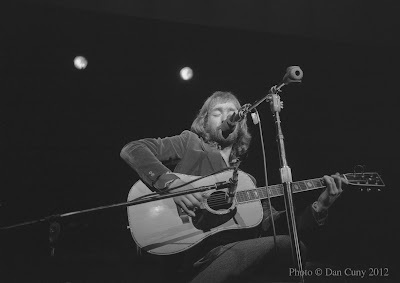 Mr. Fantasy, the first album by Traffic, included three further tracks that were written and sung by Dave Mason ("House for Everyone," "Utterly Simple," and "Hope I Never Find Me There"), but he had removed himself from the band by the time the LP was released at the end of 1967. 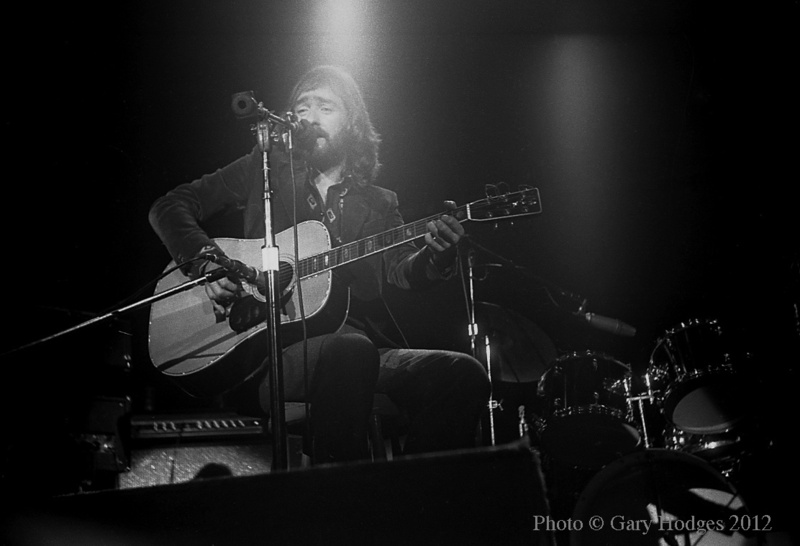 After leaving Traffic, Dave Mason recorded a single on his own, "Little Woman," which was released in the early part of 1968. 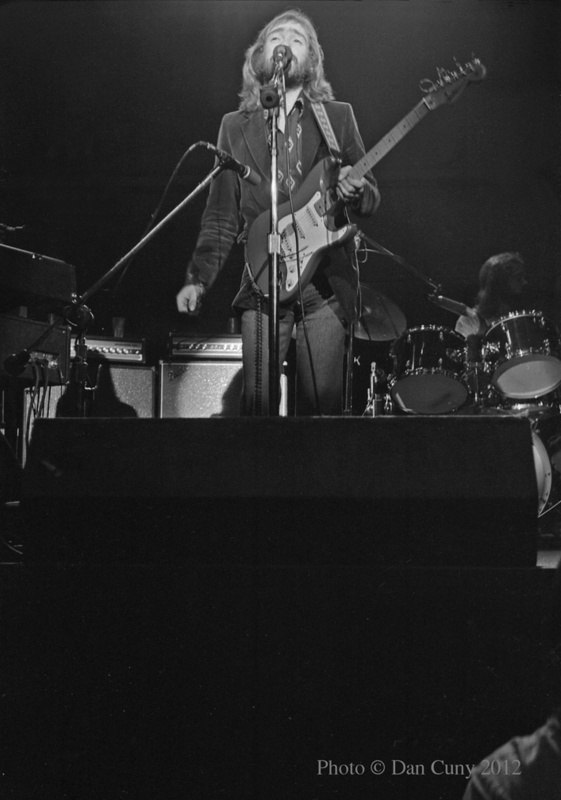 He also played acoustic guitar on Jimi Hendrix's recording of Bob Dylan's "All Along the Watchtower," and produced the first album by Family, Music in a Doll's House. Later in 1968, he returned to the fold, providing a handful of tuneful songs for Traffic's second album, Traffic. 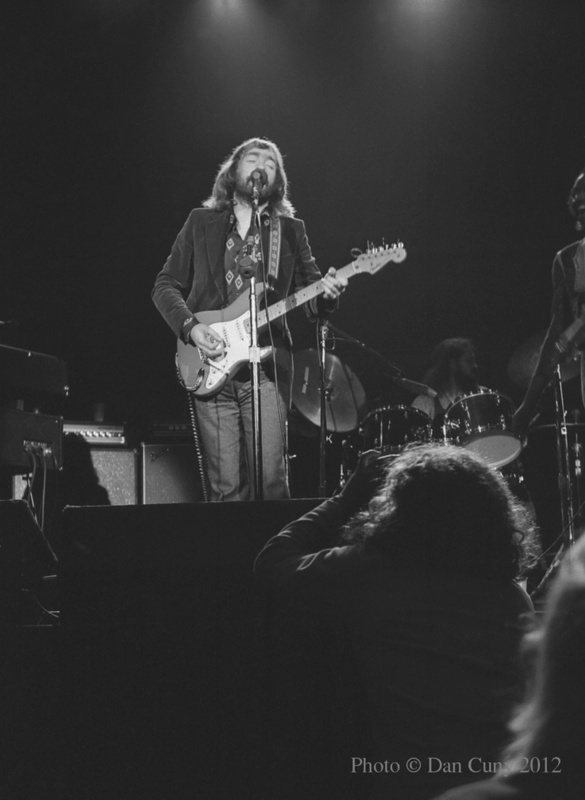 "You Can All Join In," "Don't Be Sad," and "Cryin' to Be Heard" were excellent tracks, showing off Dave Mason's abundant talents, but the one song that truly stood out was "Feelin' Alright?" 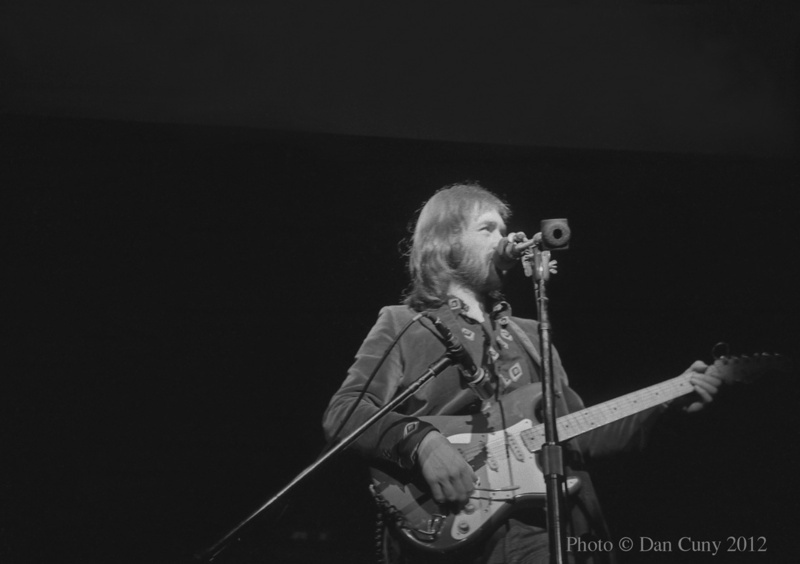 Joe Cocker covered "Feelin' Alright?" with great effectiveness in 1969, and it has since established itself as one of the most durable standards in rock'n'roll. Nevertheless, Dave Mason's second stint as a member of Traffic was even shorter than his first, and by October of 1968, he was out of the band again. 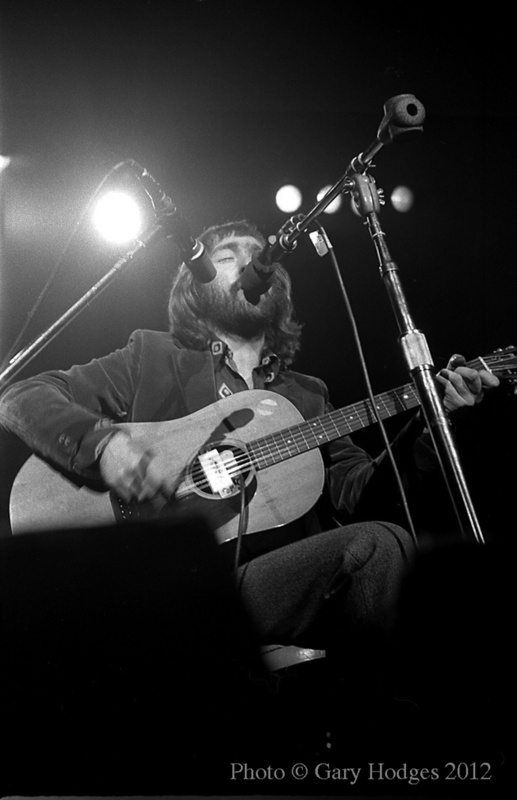 Dave Mason did not remain idle after his second departure from Traffic. 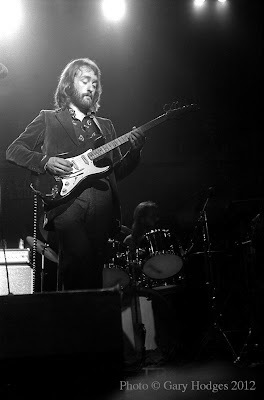 In 1969, he toured as a member of Delaney and Bonnie and Friends (along with George Harrison and Eric Clapton), and in 1970, his first album, Alone Together, featuring contributions from Jim Capaldi, Leon Russell, Delaney and Bonnie Bramlett, Carl Radle, Jim Gordon, Jim Keltner, and many others, was released on Blue Thumb Records. Alone Together displayed Dave Mason's full abilities at their musical height, with songs such as "Only You Know and I Know," "Shouldn't Have Took More Than You Gave," "World in Changes," and "Look at You Look at Me" receiving repeated airplay on FM radio. 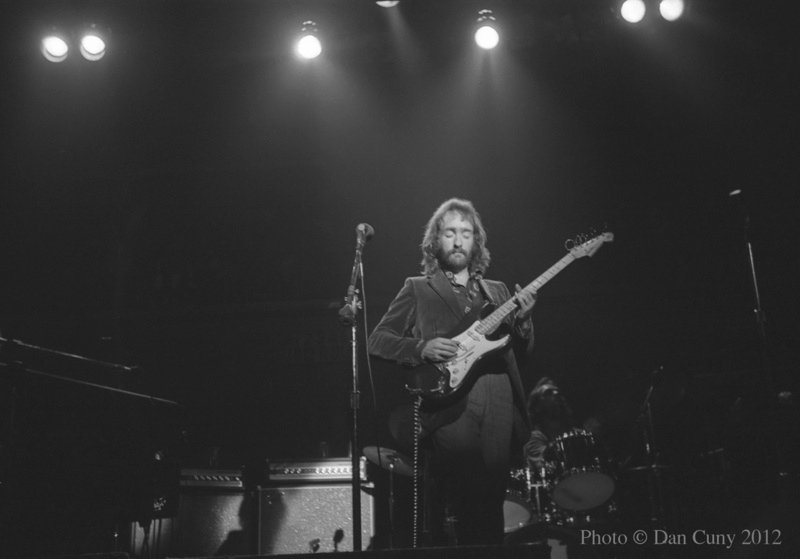 Also in 1970, Dave Mason briefly served as an early member of Eric Clapton's new band, Derek and The Dominos. 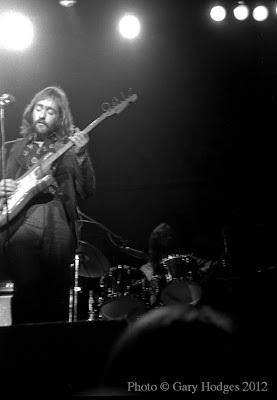 In 1971, Dave Mason recorded an album with Cass Elliot of The Mamas and The Papas (Dave Mason and Cass Elliot, released on Blue Thumb Records), but their fruitful partnership was short-lived, and he soon was back to pursuing his own path in music, although he did return to Traffic for a third time, taking part in a string of performances in England that resulted in the release of a live album, Welcome to the Canteen. 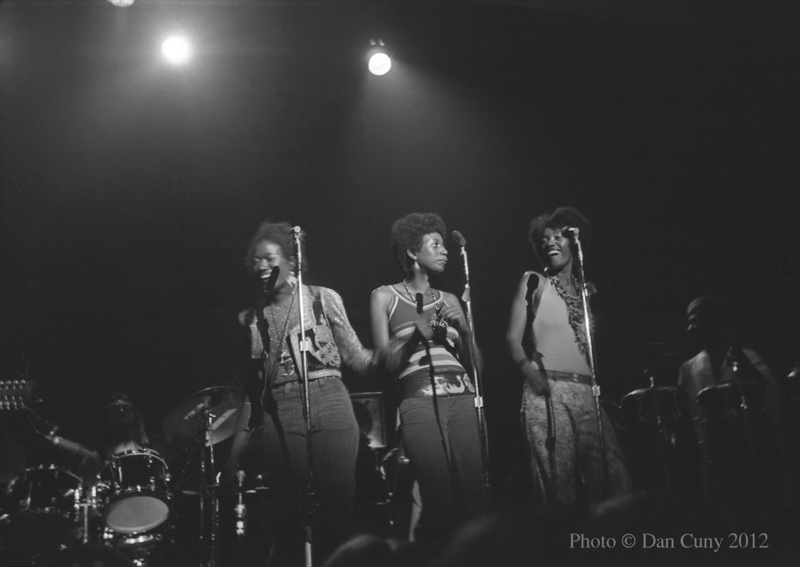 When Dave Mason (with The Pointer Sisters, three young women from the nearby city of Oakland, as his backup vocalists) appeared at Winterland in April, 1972, he had stepped out of the shadow of Traffic and was in high demand as a performer, being warmly regarded as one of the best musicians, and one of the best songwriters, of the period. Gary: The Traffic concert that Dan and I attended in January, 1972, was one of the most incredible things that I had ever seen. 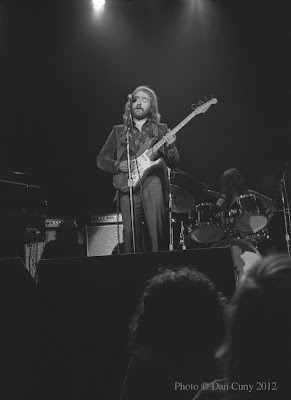 At that show, they had announced a special guest for the encore of "Dear Mr. Fantasy," and brought on Dave Mason in a dapper suit with tailored slacks and a sharp jacket, and a red Fender Stratocaster. 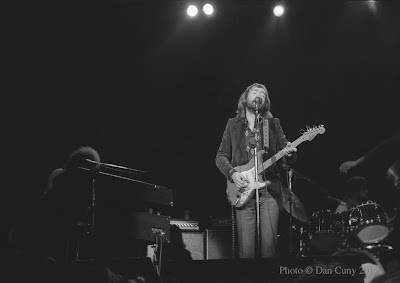 Dan and I were very impressed, and I think it was seeing that encore (which later included Carlos Santana) that made us buy tickets for the Dave Mason show at Winterland in April of 1972. I had heard Dave Mason's music from Alone Together, although I didn't have that album then. I had tried to find it, but could only find his second album, Headkeeper, so I settled for that instead. I also had the second Traffic LP, which was amazing, with some minor key brooding masterpieces, and I knew Dave Mason from that album, which I listened to a lot. His songs were great. They were personal and well-crafted. The concert was very good. We got pretty close to the stage, although I don't think we went early in the day to wait in line, and we took our cameras. 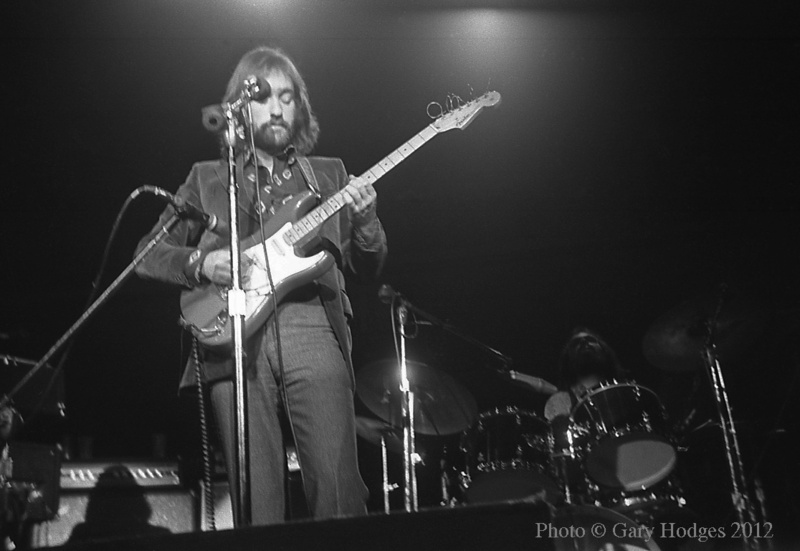 Dave Mason was dressed the same as in January, and played the same red Stratocaster, making very good use of the tremolo arm. I remember really admiring how he could get all those bent notes and glissandos to match the song lyrics. He came across as a solid songwriter, a brilliant guitarist, and a good singer. It was a standard band, with bass, keyboards, and drums, as well as a trio of beautiful female backup singers, the soon-to-be-famous Pointer Sisters. 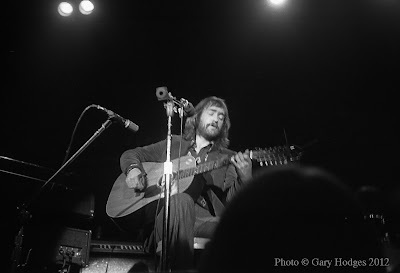 Dave Mason played electric and acoustic guitars (both six strings and twelve strings), and made everything sing. I remember Dave Mason playing "World in Changes," "Shouldn't Have Took More Than You Gave," "Sad and Deep as You," "Only You Know and I Know" (Delaney and Bonnie, who also recorded that song, had featured Dave Mason and Eric Clapton in the lineup of their band), and "Feelin' Alright?" 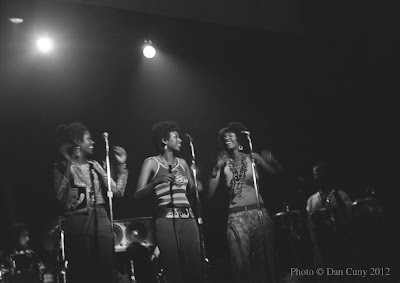 (popularized by Joe Cocker). I wanted to find one of those Stratocasters with the tremolo arm after that concert. 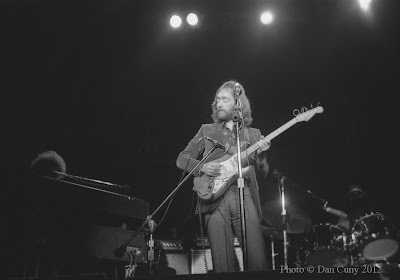 I loved Dave Mason's style. Dan: This was the fourth concert that I ever went to, and it is one that I remember very well. Dave Mason's album, Alone Together, is one of my favorites to this day, and I still play it regularly. It was a show that just myself and my good friend, Gary, attended together. 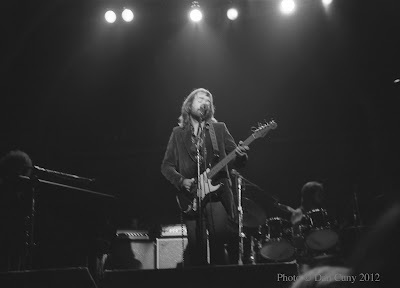 One of the high points in my experience of going to concerts was the first concert that I ever saw, again with Gary. It was Traffic (with J. J. Cale and Jo Jo Gunne) at Winterland in January, 1972. 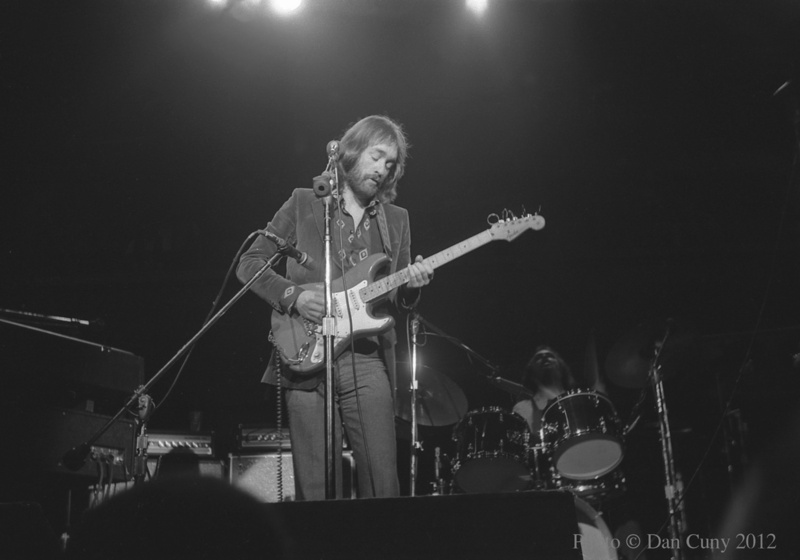 During the first encore by Traffic that evening, Dave Mason came out and played with the band. If I remember correctly, they played "Dear Mr. Fantasy." I was extremely happy to see the original lineup of Traffic. For the second encore of that show, Carlos Santana came out and played with the band. 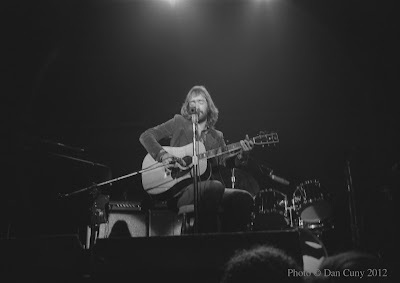 As usual for shows at Winterland, Gary and I were front and center for Dave Mason in April, 1972. 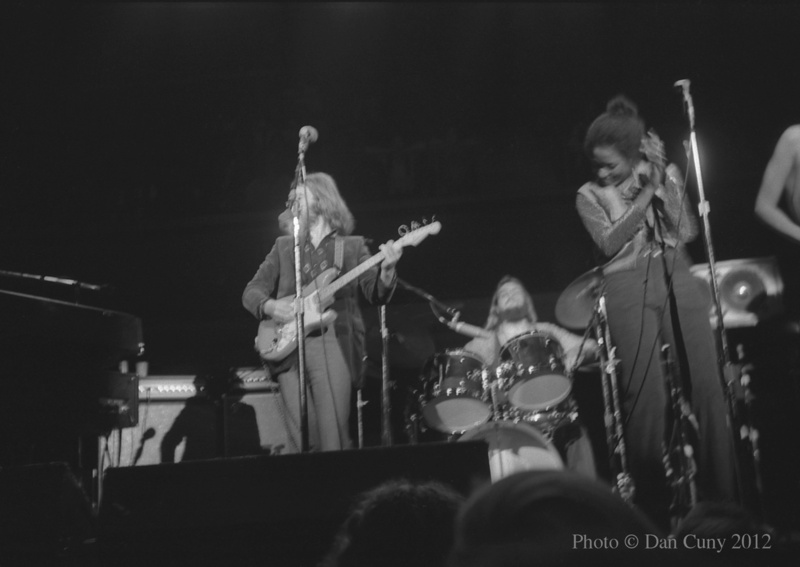 The show started with Pamela Polland (at that time, I had no idea who she was), followed by Loggins and Messina and Taj Mahal. 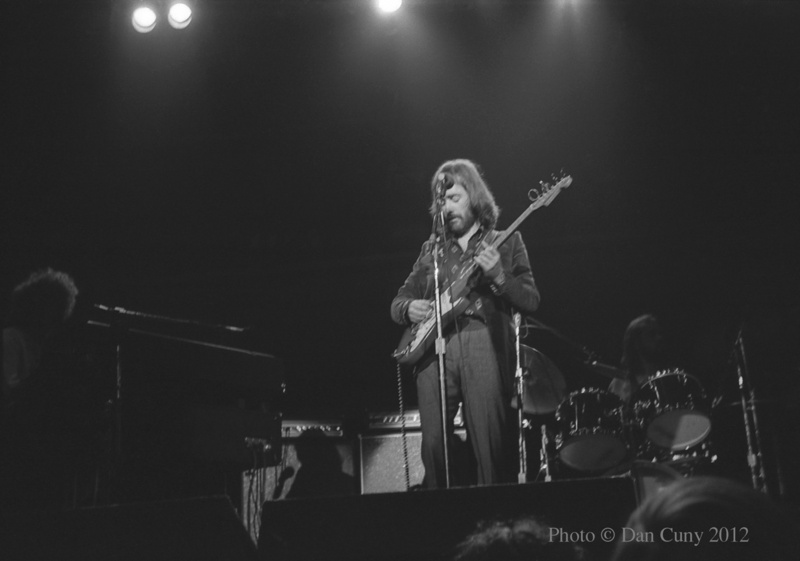 I was there to see Dave Mason, whose second album, Headkeeper, I had purchased after its release in February. Dave Mason came out in slacks and a red velvet jacket. Strapped to him was his Stratocaster, and he proceeded to launch into songs from Alone Together and from his days with Traffic. I can clearly remember "World in Changes," "Shouldn't Have Took More Than You Gave," "Only You Know and I Know," and "Pearly Queen." 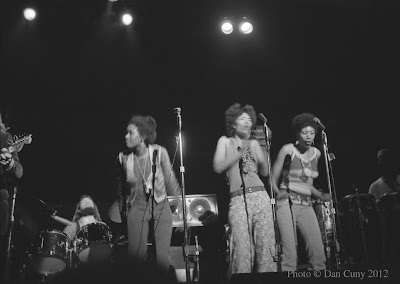 The band was tight, and the backup singers, The Pointer Sisters, were great. 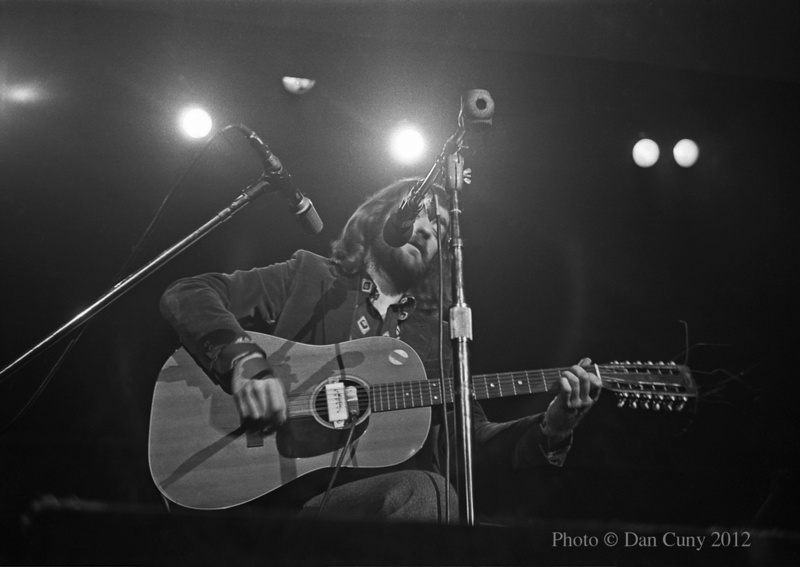 When Dave Mason did a few songs with an acoustic guitar, I can remember looking up at him through the viewfinder of my camera. I felt like I could reach up and touch him. He seemed larger than life in the viewfinder. This concert sticks in my mind, and when I look at the photos, it comes rushing back to me that it was one of my favorite shows. Great post - I may have been there! That was just about the time I got turned on to Dave. Since then - 268 shows - give or take a few. Rolling Stone just came out with the 100 top guitarists. In my humble opinion, Dave ranks with the best of them. His style is unique and spell bounding. I love the time I said " Dave you don't play fast". His response " I don't need to" Rock on . Fast doesn't make you good in my way of thinking- in fact it can take something away and be distracting. Listen to his work crefully. the Wizard - show # 285 ? what a long strange trip its been !!!! So did you go to the San Diego Conquistador's ABA Basketball game so you could see The Dave Mason Concert after the game? 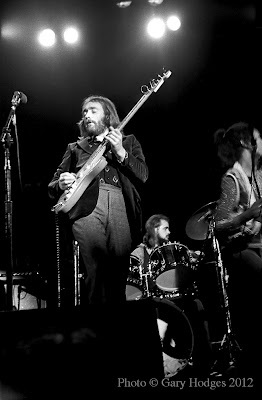 I believe Canned Heat opened. It was awful basketball and we kept going outside to spark-up doobies til the ushers told us we could leave and re-enter again. Finally the ball game was over and the wonderful music was on and we rocked out the rest of the evening. The Conquistador's folded shortly there after, but I still remember how proud they were to announce "A new attendance record" for the team. I was there. 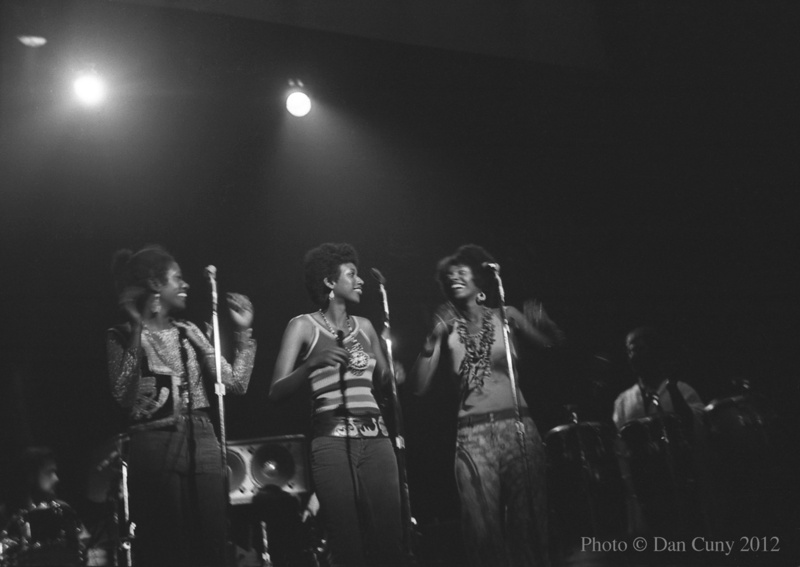 First concert ever attended. 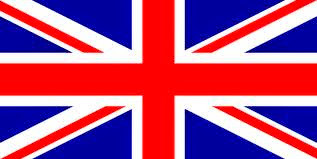 To be followed by many more. Like I said when I finally met you and shook your hand after a concert at Boulder Station in Las Vegas, you are my favorite guitar player. Still. 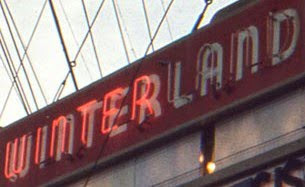 I was at Winterland and what a great show!! 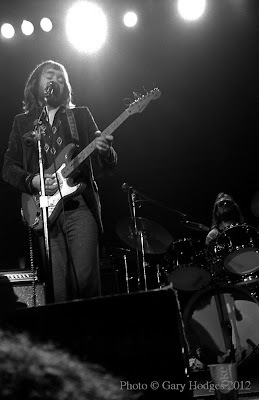 I just saw Mike Finnegan last night with Bonnie Raitt in Fresno at the Warnors Theatre!! He is still tickling the ivories like he did back in '72!! I was suppose to do a Meet and Greet with Doobie Bros and Journey and Dave Mason at Save Mart Center but they Cancelled and Broke My Heart! !